A south Texas native, Theresa attended Texas Woman’s University and graduated with honors and a Bachelor’s of Arts in Dance in 2005. During her time in North Texas, she performed with Muscle Memory Dance Theatre, a professional modern dance company. She then relocated to Los Angeles to attend the University of Southern California and graduated with her Doctor of Physical Therapy from USC in 2008. Theresa became Power Pilates certified in 2001 and taught mat and equipment classes in the Dallas, San Antonio and Los Angeles metro areas. In Los Angeles, she had the privilege of being a staff physical therapist and Pilates instructor at the prestigious Performing Arts Physical Therapy and Pilates Studio of LA, developing her unique approach to dance medicine. 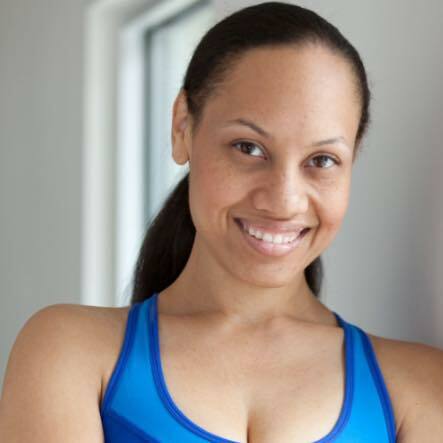 She is currently certified through Resolution Therapy Advanced Pilates certification and enjoyed the position of lead therapist on staff at Resolution’s Roswell, GA location from 2013-2015, offering specialized manual and Pilates-based therapies. In 2012, Theresa teamed up with Stellar Bodies, and as an instructor for the fusion fitness method Lagree fitness. In 2014 until 2015, the perfect fusion of Pilates, ballet, and yoga presented itself with a partnership with Barre3 at the Atlanta- East Cobb location. She enjoyed the variety as well as pushing the limit of fitness, being trusted by all clients to do so in a safe and fun way. The year 2015 brought Theresa to OnCore PT as the Managing Clinician, expanding her knowledge of operating a small clinic and using her experiences to grow in to her own business of Pride Physique. Theresa is very passionate about health and fitness and believes in treating the whole person. For this reason, she also pursued holistic wellness coach training with the International Association of Wellness Professionals. Balance is the key and she teaches this to all her fitness and rehabilitation clients. Dr. Christina Harris is ecstatic to join Pride Physique Physical Therapy. Born and raised in South Florida, Dr. Harris relocated to Metro Atlanta in 2003. Throughout her high school years she discovered a love for and fell in love with human movement and rehabilitation and decided to pursue her passion in college. Pursuing her dreams, Dr. Harris attended The University of Georgia and Augusta University, formerly Medical College of Georgia, to obtain her Bachelor’s and Doctorate of Physical Therapy degree. With an adventurous spirit, she embarked on a cross-country journey as a Travel Physical Therapist; working in Georgia, Texas, and California in a number of settings including acute care, outpatient orthopedics, in-patient rehabilitation, and skilled nursing facilities. In 2017, Dr. Harris and her husband returned home to Metro Atlanta to settle down and plant their roots. Dr. Harris has a thirst for knowledge and is a lifelong learner and values a holistic, functional approach to movement, health and wellness. She has an interest in pelvic floor rehab and perinatal patient populations, and looks forward to working with patients at Pride Physique Physical Therapy is ecstatic to join Pride Physique Physical Therapy. Courtney has over 11 years experience with Pilates mat and Apparatus instruction. She is Power Pilates trained and certified by the Pilates Method Alliance (PMA). Courtney is also certified through the American College of Sports Medicine as a Health & Fitness instructor. She is experienced with weight management, endurance, and strength building programs and enjoys working with obese, pregnant, and postpartum clients. Her clients love her attention to detail and enthusiasm for a heart-pumping Pilates workout. Courtney earned a Master’s degree in Exercise Science from Georgia State University. When not teaching, Courtney loves spending time with her daughter, who at the young age of 5 mastered the “rolling like a ball” Pilates exercise. Lisa Harlan completed her BFA in Ballet and Kinesiology from Texas Christian University as a Nordan Fine Art’s scholar recipient. She danced professionally for Georgia Ballet and taught classical ballet for local schools in and around Atlanta. She then decided to further her education and moved to Miami and completed her doctorate in Physical Therapy from University of Miami in 2009. Lisa started work as a physical therapist with a large, nonprofit hospital system in southwest Florida and worked as a staff therapist for 5 years with multiple types of patients including those with orthopedic and neurologic diagnoses. Lisa and her husband moved back to Atlanta in 2014 and she started practicing with Emory Physical Therapy in a spine specialty clinic. Lisa is a graduate of Polestar Pilates for Rehabilitation and is certified by the Pilates Method Alliance since 2010. She enjoys incorporating Pilates principles into her rehabilitation. She has continuing education experience in myofascial release, women's health, spinal mobilization, treatment of osteoporosis, and is certified in trigger point dry needling. Lisa is excited to join Pride Physique and continue expanding her knowledge as an instructor and therapist. Lisa is passionate about health and wellbeing and tries to impart that passion to all her clients.